Since the invention of the Edison lightbulb in 1879, electric linemen have been keeping the nation energized. More than 227,000 men and women install and maintain the nation’s nine million miles of electric grid that meet our power needs, including the 28 who serve at College Station Utilities. That’s why the United States Congress and the City of College Station are recognizing Thursday as National Lineman Appreciation Day (#ThankaLineman) as a way to honor the hard-working folks who protect public safety and energize our economy by keeping the power on. Linemen are also an essential part of the first-responder community alongside police officers, firefighters, and paramedics. In most cases, other first responders can see their emergency issues, but electricity is invisible, which makes for an extremely hazardous environment during storms. While big events require all-hands-on-deck, most routine trouble calls are handled by two-person crews. According to the Bureau of Labor Statistics, being an electric lineman ranks among the 10 most dangerous jobs. Unlike most occupations, linemen spend a large part of their working lives well above the ground maintaining electrical infrastructure. Our linemen work with voltages as high as 138,000 volts and as low as the standard 120-volt power in your home. College Station Utilities is also committed to the construction of reliable, underground utilities. Our electric grid is more than 56 percent underground, which requires our electric personnel to be knowledgeable in both overhead and underground systems. Please join us in thanking the highly skilled and dedicated linemen who work all hours of the day, often in hazardous conditions, to keep your lights on. Patrick McIntyre is energy coordinator for College Station Utilities and is responsible for the energy conservation and key accounts programs. Pat joined CSU as a key accounts representative in 2009. He previously worked for 17 years in the manufacturing sector and eight years as a consultant with the Texas Engineering Extension Service. 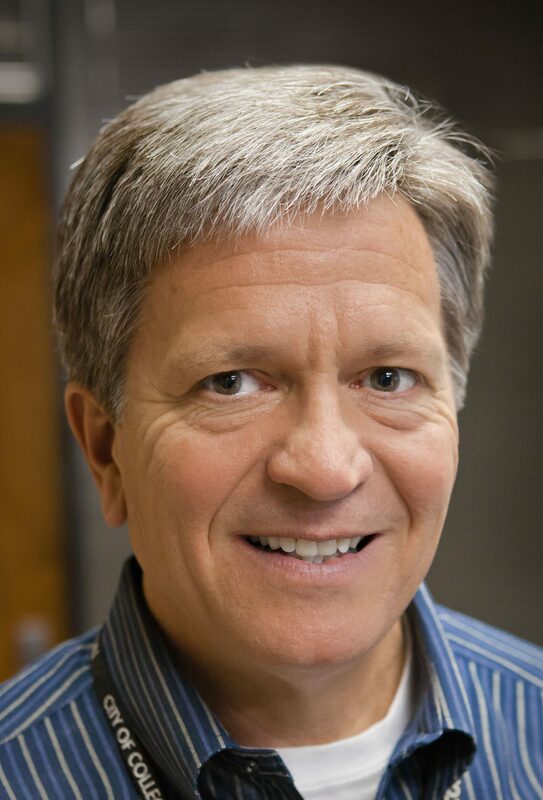 Pat graduated from Texas A&M in 1982 with B.S. in Industrial Distribution and has lived in the area since 1984. Can you imagine a day without water? Think a moment about your typical morning routine. You wake up and make a steaming cup of fresh coffee or tea before heading to the toilet and the shower. After you get dressed in freshly washed clothes, you eat a nutritious breakfast and clean your dishes in the dishwasher or sink. Of course, you make your dentist happy by brushing your teeth. Now, imagine for a moment that you had no water. None of your morning activities would be possible without safe and reliable water and the infrastructure that delivers it to your home. If you’ve never gone without water, it’s almost impossible to envision a day without it. Your water service may have temporarily been shut off to repair a leak, but you had full confidence that the water would soon flow again. Today is the fourth annual Imagine a Day Without Water, a nationwide day of education and advocacy about the value of water. The Value of Water Campaign is helping hundreds of organizations across the country host events and spearhead projects aimed at raising awareness about the crucial need for investing in our nation’s water infrastructure. After decades of underfunding, water infrastructure across the nation has aged and needs replacement or significant repairs. Drought, flooding, and population changes have dramatically increased the stress on our water and wastewater systems. According to the Value of Water Campaign’s report on The Economic Benefits of Investing in Water Infrastructure, a one-day disruption in water services at a national level would result in a $43.5 billion loss in sales for businesses. In just eight days, a national water service stoppage would put nearly two million jobs in jeopardy. In contrast, for each job created in the water sector, 3.68 jobs are added to the national economy. For every $1 spent on infrastructure improvements, the United States generates $6 in economic returns. That’s a sound investment. It’s not all gloom and doom. College Station’s water and wastewater systems are young compared to many cities. For the most part, we’ve been able to stay ahead of our infrastructure needs. Each day – including weekends and holidays – our Water Services employees maintain 454 miles of water lines, 363 miles of wastewater lines, nine groundwater wells, and three wastewater treatment plants. City councils and community leaders through the years have recognized that water is essential to the quality of life and economic competitiveness and have supported the water and wastewater rates necessary to maintain award-winning water and wastewater systems. At Monday’s city council meeting, Mayor Karl Mooney read an official proclamation (at right) for Imagine a Day Without Water to draw attention to the many ways we maintain critical water and wastewater infrastructure. No community can thrive without water, and every American deserves safe, reliable, and accessible water. You can help by conserving water. Since irrigation water gushing down the street benefits no one, sign up for landscape watering recommendations from Brazos Valley WaterSmart. Every gallon of water saved is a gallon left in the Simsboro Aquifer for later use. You can also help keep our waterways clean by avoiding over-fertilizing, picking up litter, and disposing of hazardous waste at Household Hazardous Waste collection events like the one scheduled for Oct. 20. Improperly discarded fertilizer, motor oil, and litter make its way into our creeks, which feed into the Navasota and Brazos Rivers – and someone is drinking that water downstream. A groundswell of communities and partners have come together to promote safe and reliable water systems with Imagine a Day Without Water. We can make a difference by leveraging our collective power, educating our decision-makers, and inspiring our communities to make water infrastructure a priority. Let’s invest in our water systems, so no American ever has to live a day without water. The City of College Station is recognizing the dedicated professionals of College Station Utilities and Utility Customer Service during Public Power Week, which runs through Saturday. The 32nd anniversary of Public Power Week is a nationwide celebration of public power’s value to its communities. The event honors the thousands of men and women across the United States who provide and maintain the electrical grid infrastructure and services known as public power. In 2018, more than 5.1 million Texans are served by community-owned power. College Station is one of 72 publicly owned utilities in Texas and is one of only four to receive national recognition as a Diamond-Level Reliable Public Power Provider from the American Public Power Association, which coordinates Public Power Week. Utilities receiving the designation are among the nation’s best in reliability, safety, workforce development, and system improvement. The 103 employees at CSU and Utility Customer Service are the foundation for the reliable service and electric system infrastructure that allows our community to develop and grow. Programs available in College Station through our electric utility include Energy Back II A/C Rebate, LED Lighting Rebate, Connected Thermostat Rebate, Commercial LED Rebate, and free energy audits. The American Public Power Association represents not-for-profit, community-owned electric utilities that power homes, businesses, and streets in more than 2,000 towns and cities, serving 48 million Americans. With no divided loyalties, these utilities focus on a single mission: providing reliable electricity to the communities they serve while protecting the environment. As we observe Public Power Week, we thank the employees at College Station Utilities and Utility Customer Service for their hard work, professionalism and the invaluable service they provide to our community every day. College Station Utilities hasn’t increased water rates since 2010 thanks to improved conservation efforts by our customers and the implementation of impact fees on new development. Last fall, the College Station City Council unanimously approved a six percent increase in water rates as part of the Fiscal Year 2018 budget. The council deferred the increase until the fourth quarter, which begins July 1. College Station has grown more than 25 percent since that last rate increase. That means we need additional water wells to keep up with demand, along with another water tower on the east side of Highway 6. Without one-time impact fees, we’d need a 15 percent rate increase to pay for those necessities. You’ll be charged $2.40 per 1,000 gallons for the first 10,000, $3.12 for the next 5,000, and up the tiers as usage increases. More than half of our residential water customers use 10,000 gallons of water or less each month, but some are consistently in the 26,000 gallons-and-up rate block. If you’re a 10,000-gallon user, you’ve paid about $32.79 a month for your water since 2010, which includes a $ 10.19 meter charge. If the existing rates had been indexed annually to inflation, you’d be paying $36.19 today, or $3.40 more. Under the new rate – which includes a $10.80 meter charge – you’ll pay $34.80. That comes out to about 35 cents for 100 gallons of clean, pure water that’s rated as superior by state regulators. The chart below includes the monthly residential meter charge, which varies by meter size. The City of College Station offers proactive programs to help customers reduce water waste and trim their bills, including free landscape irrigation checkups, direct outreach to the highest water users, rebates on water-saving products, and weekly watering recommendations from Brazos Valley WaterSmart. Efficient water use is the least expensive way to make our supplies more sustainable, and it keeps your rates lower over time. Your water bill payment is an investment in our water future, ensuring that we can continue to provide you – and generations to come – with high-quality water. For more information about water rates or conservation, go to cstx.gov/water or call us at 979-764–3660. College Station Utilities customers have grown accustomed to workers entering their backyards to read the electric meter. No one looks forward to the monthly intrusion on their privacy, but the work is necessary to get an accurate measure of your electricity usage. The situation is as uncomfortable for our readers as it is for our customers. You don’t like the invasion of your privacy; our readers don’t like encountering startled Rottweilers. If only a better, less intrusive way existed to check your monthly electricity usage. Well, it does. And CSU and its electric customers will soon have access to it. 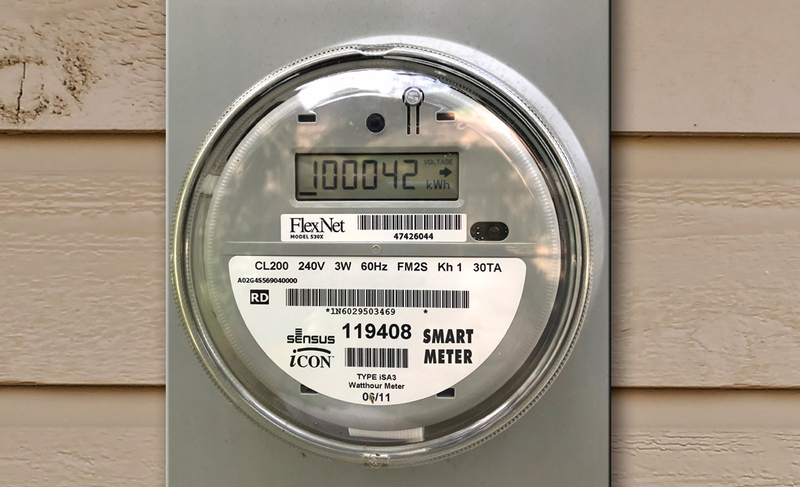 Last month, the College Station City Council directed CSU to move forward with implementing Automated Metering Infrastructure (AMI), commonly called smart meters. The process will take about three years to complete. The change will apply only to electric meters, while water will continue to install AMI-ready meters for future implementation. Smart meters record energy usage just like traditional meters but send and receive the data through wireless communications technology. That eliminates the need for us to enter your property on a regular basis. The new system will not reduce our workforce, either, since we’ll hire meter and system technicians to replace the readers. Since 2010, AMI use has doubled with about half the nation’s electricity customer accounts now using smart meters. In 2016, Texas added the most residential smart meters of any state. Bryan Texas Utilities (BTU) successfully implemented its AMI system more than six years ago. The council’s decision has raised some questions about the pros and cons of smart meters. Even though the city hasn’t yet requested proposals from potential contractors, we can still address many of the issues. In addition to being less invasive, the meters will provide timely data that helps us generate more accurate utility bills by reducing human error. We’ll be able to better monitor system performance, control energy theft, provide greater reliability, and pinpoint and respond faster to outages. The system also will make it easier for you to identify ways to save energy and trim your monthly bill. Since College Station is home to one of the nation’s largest universities, our electric utility handles an extraordinary number of service connects and disconnects. Because of the transient nature of much of our growing population, College Station Utilities processed about 70,000 connection and disconnection work orders last year. During the peak move-in and move-out times in May and August, what should be a simple service can take several days. We’ll soon be able to handle those 70,000 annual connects and disconnects remotely, which will significantly improve our customer service capabilities and recover about 700,000 miles logged by our service trucks each year, providing substantial savings and environmental benefits. Our top priority has always been providing reliable and safe electric service, which includes safeguarding your privacy and protecting your data. Since we must know how much electricity you use to bill you accurately, that’s all the smart meters measure — not how you use the electricity. Only consumption data is transmitted, nothing more. At the same time, the system’s firewall protects us against external hacking threats. Moreover, privacy laws require us to protect consumer data. We can’t share that information without your permission, so rest assured it won’t end up in the hands of marketers. Our most likely communication system would use radio frequency, which produces no microwave radiation. Research shows that standing next to the AMI meter exposes you a fraction of the electromagnetic radiation produced by cell phones or baby monitors. For several years, the leadership of our electric utility has prudently set aside adequate funds in CSU’s budget for potential capital projects such as an AMI system. That means the new meters won’t cause an increase in electric rates. The up-front, one-time cost of implementing the AMI system is expected to be about $9.2 million, with annual operations and maintenance costs of about $660,000. If the meters have a life of 11-12 years, we’ll likely break even on the costs and benefits of the new system. Any shortfall would simply be the cost of doing business and providing better service. We encourage CSU electric customers to participate in the discussion when an AMI contract is presented to the city council early next year. David Coleman serves as College Station’s interim assistant city manager after 14 years as the director of water services at College Station Utilities. He also served 21 years as a civil engineer corps officer in the U.S. Navy. Coleman earned a bachelor’s degree in civil engineering from Texas A&M in 1981 and a master’s in construction engineering from Stanford.